As a horror fan, it’s been a frightfully good time paying attention to this year’s Comic-Con, which has unveiled everything from an Evil Dead TV series to a suspense-filled Walking Dead trailer. 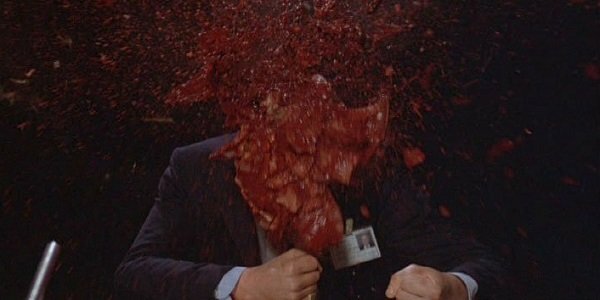 And now, because everyone knows a little head explosion never hurt anyone, here’s an update on the barely-discussed TV series adaptation of David Cronenberg’s Scanners. Two years ago, Dimension Films and everyone’s favorite institution The Weinstein Co. partnered up with High Tension director Alexandre Aja to turn the telekinetic thriller into a worthwhile series, and then…nothing. Aja went on to co-script last year’s Maniac remake and is currently at Comic-Con promoting Horns, his adaptation of the demonically stellar Joe Hill novel. (That film has had its own share of issues in getting to a release.) Thankfully, Shock Till You Drop had the presence of mind to ask the filmmaker about Scanners when they caught up with him. And Aja’s words are somewhat surprising. Did he just slam Cronenberg’s Scanners, or was his tone lost in translation? In any case, STYD also reported Aja’s claims that the series has found a home, but that any more details on that matter would have to wait. Everything about this project screams “cable,” so let’s hope CBS and The CW has zero interest. Telepaths don’t get the most attention on TV (probably because telepathy isn't real), and Scanners would be a worthy way for the subject matter to be approached. In the film, which Cronenberg also wrote, the security and weapons corporation ConSec uses scanners (people who can hear others’ thoughts and control their body functions) for their own nefarious means. One angry scanner, Darryl Revok (Michael Ironside), is dead set on revolting against ConSec by any means necessary, and the company tasks a powerful scanner, Cameron Vale (Stephen Lack), to track him down and stop him. Cronenberg hasn’t made a project like this in quite a long time, and while I’m usually against remakes and expansions of this sort, I’m interested to see if Aja can bring a grander scale to the underused body horror sub-genre. A TV show seems like a better option than a 90-minute movie remake, which was also in the cards at one point. Maybe I should have my head examined.